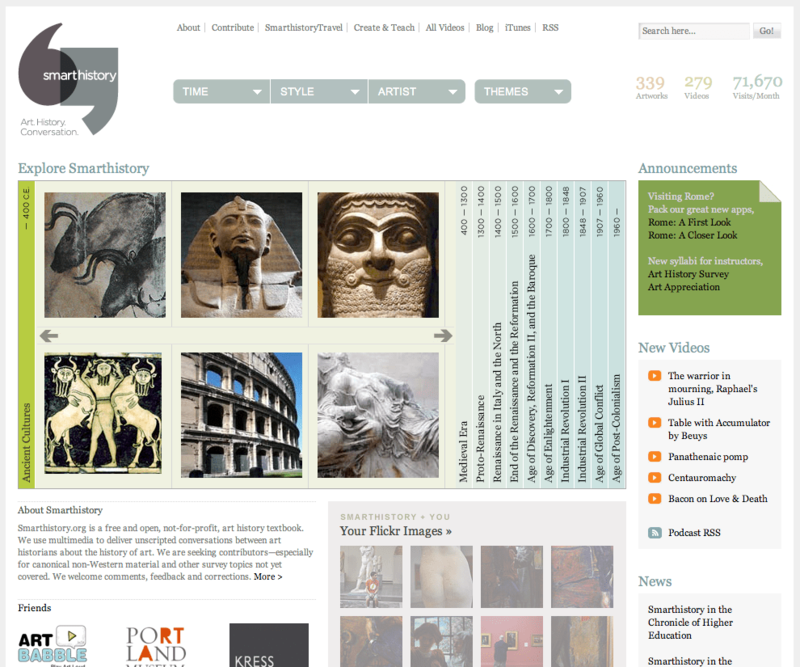 This is one of the coolest art history sites I’ve ever seen. Brings trips to the MET, MOMA and other acronyms for cool places with lots of expensive art and history very much ALIVE! Love it! It’s actually a “free and open, not-for-profit, art history textbook.” But textbook in the new, 21st-century, digital sense, with excellent use of available technology to create a very smooth experience that keeps a student’s attention on what matters most—the art history, the learning—the experience! Enjoy the view! And check back often for an incredible interview with the people behind this fascinating, time-eating site! This is a really cool website. I had already added it to my Diigo bookmarks. If anyone is looking for other cool sites, I have a bunch in my Diigo bookmark group which I share on my website http://www.technologyintegrationineducation.com under the tab Resources and on the page Favorite Websites. Enjoy.